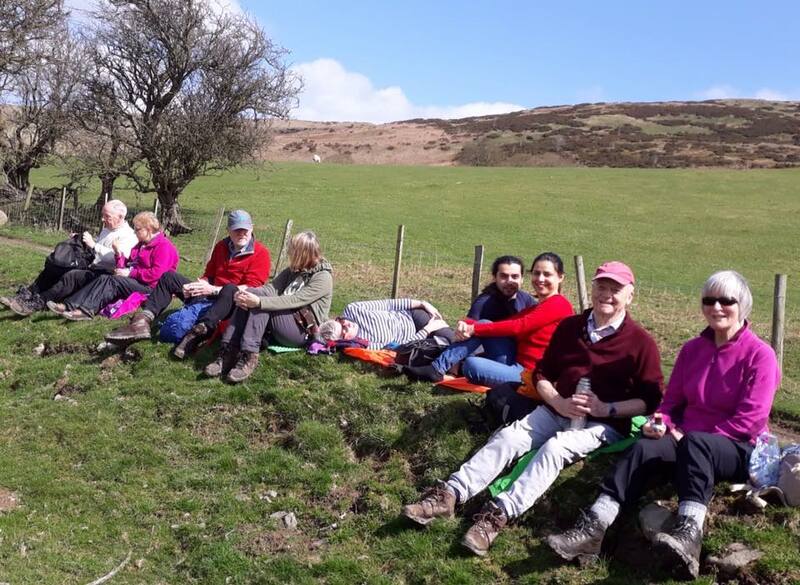 On Saturday 14th April, 11 of us set off from the Forestry car park high above the Vale of Clwyd to conquer Penycloddiau, writes walking enthuiast and Church Warden Dave Bradley. The weather was fine, even hot at times (a novelty) and the views of North Wales were wonderful. Merseyside could even be seen from the top, through the haze. It was a very happy day, enjoying God's good creation, which finished basking in the sunshine outside The White Horse in Cilcain. Some of us then visited the fascinating old parish church across the road. There is to be seen the banner carried in 1920 to protest against the disestablishment of the Church of Wales. The Welsh Church seems to have survived that. How would a disestablished C of E get on?